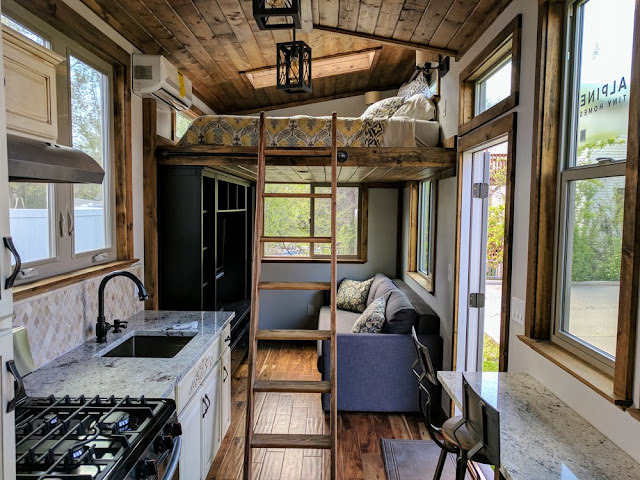 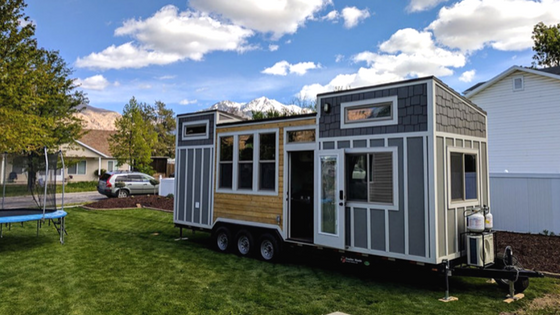 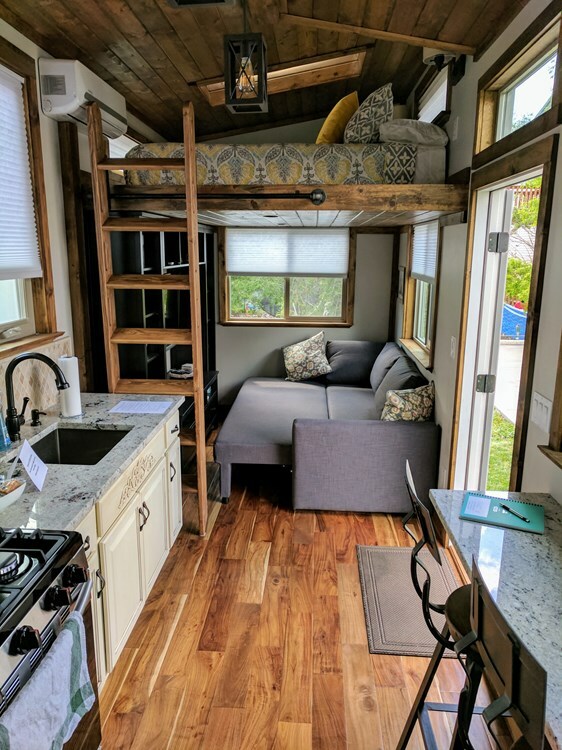 The Teton, a beautiful and iconic tiny house from Alpine Tiny Homes, is currently available for sale in Ogden, Utah! 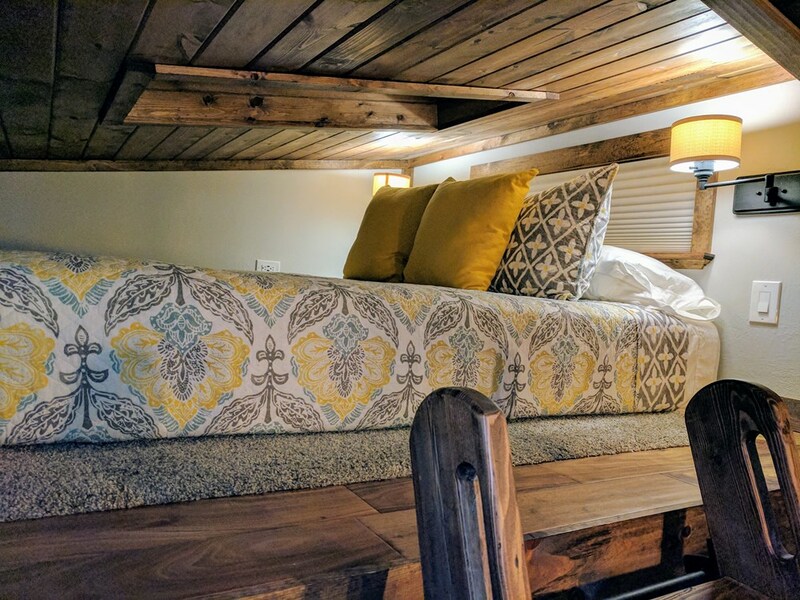 The 24' x 8' house is a luxury home that can comfortably accommodate up to four people. There's a queen-sized master loft bedroom, a second twin-sized loft, and a sleeper sofa in the living room. 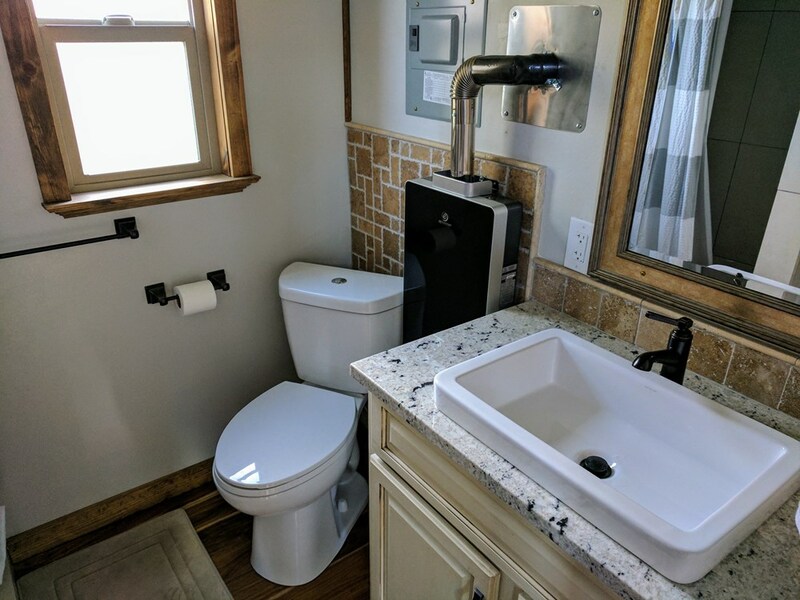 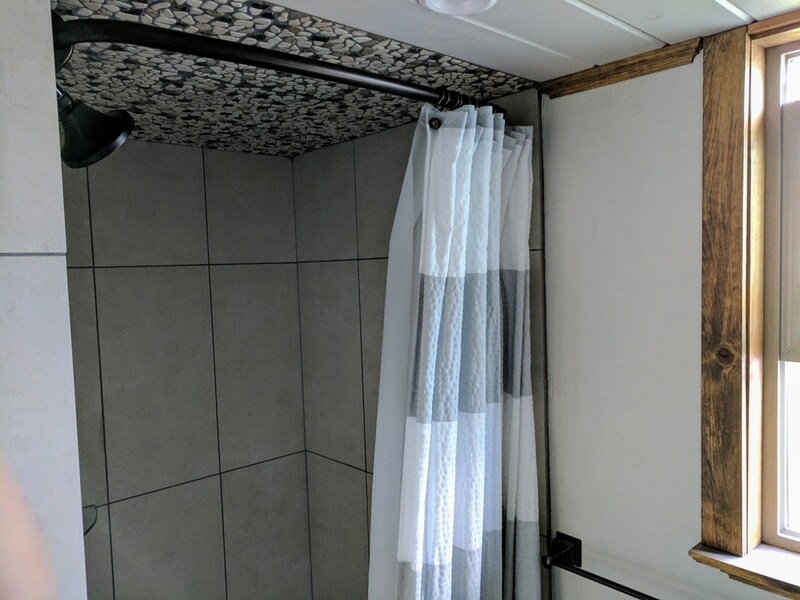 Also included is a full-sized fridge and propane stove in the kitchen, a washer/dryer combo, and an on-demand water heater. 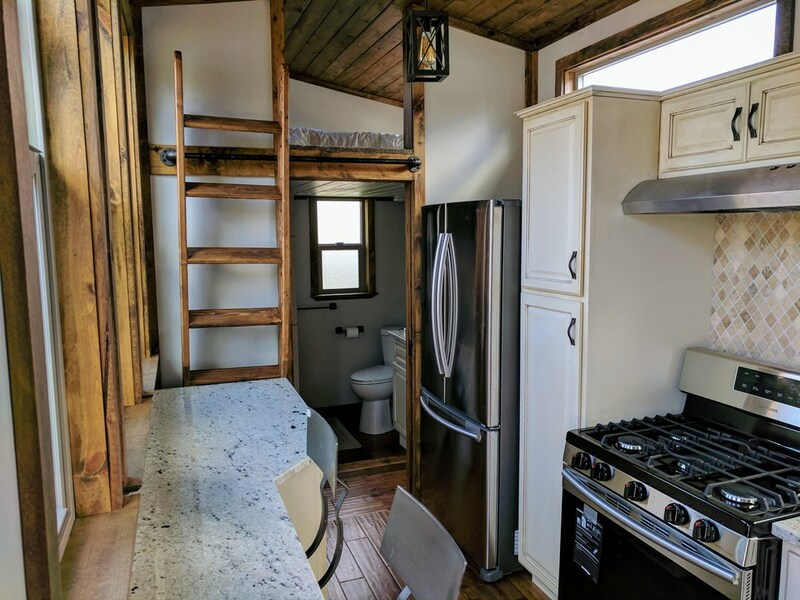 The home is currently listed for sale here for $65,000. 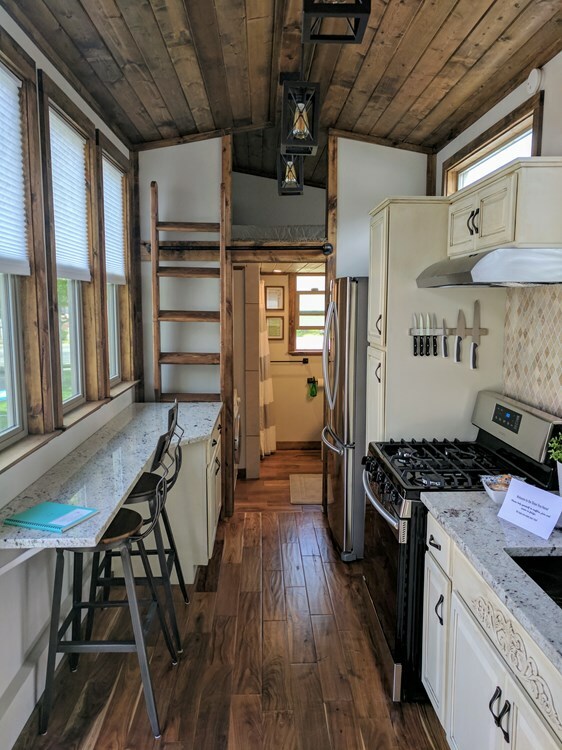 The seller may also be open to a lease-to-own option or a monthly rental option!